This is a wireless internet technology diagram design ppt samples. This is a one stage process. The stages in this process are wisp, radio tower, home with grossly exaggerated receivers, internet. 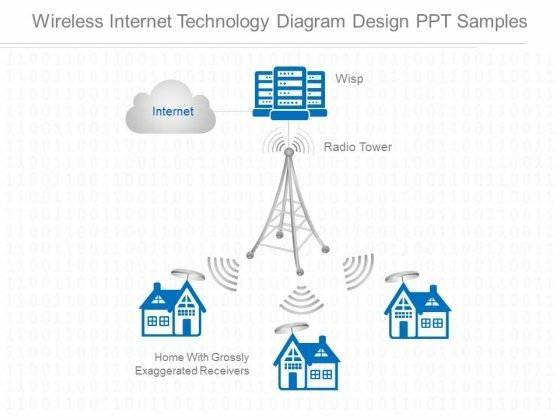 Do exciting things with our Wireless Internet Technology Diagram Design Ppt Samples. Create intelligent and delightful choices with your ideas. 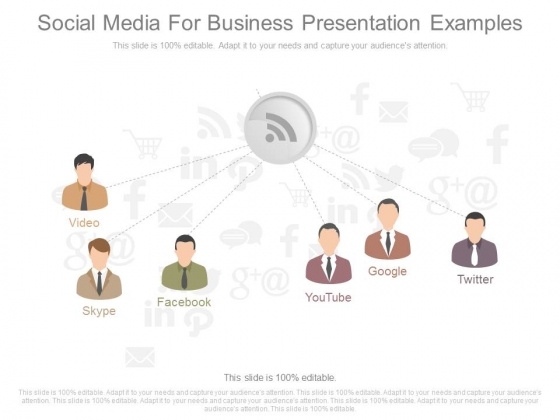 This is a social media for business presentation examples. This is a six stage process. The stages in this process are video, skype, facebook, youtube, google, twitter. Figure on our Social Media For Business Presentation Examples for their expertise. They will prove their fibre again and again. This is a sample basic computer networks ppt slide examples. This is a four stage process. The stages in this process are internet, router firewall, computer a, computer b. 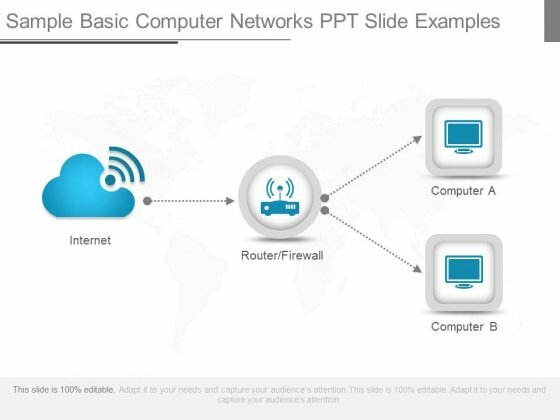 Set the audience alight with our Sample Basic Computer Networks Ppt Slide Examples. You will come up with a cracker of an idea.